Popular Costumes for Halloween in U.P. MARQUETTE — Have you figured out what type of costume you are thinking of wearing out this Halloween? Well it is almost that time of year when all the ghosts, goblins and even some Super Heroes come out to go trick-or treating. Now many have their own ideas for costumes but many want to know what costumes are popular for this year. 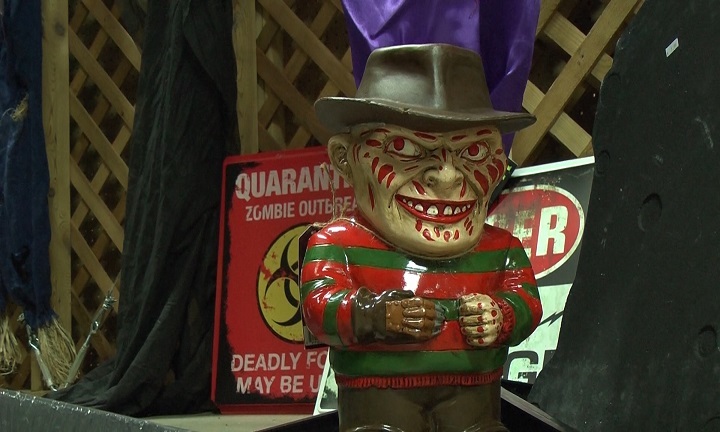 So ABC 10 went to the local Halloween shop in town and got an idea of what costumes we will be seeing around the town on the 31st. Now the kids might be big into movie character costumes but the adults usually stick with the classic horror Slasher movie characters or maybe even a few new ones. If you still can’t decide on a specific costume you can always just go mix and match different props and create your own character for this frightful night.